White claycoated newsback and kraft rigid mailers protects contents during transport. 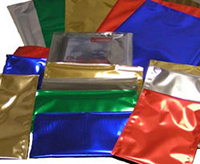 Durable, water resistant, poly mailer envelopes with self sealing tape strip. 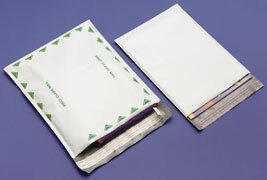 White clay-coated gusseted mailers with a peel off self-adhesive strip closure. Rigid fiberboard mailer with self adhesive strip closure. 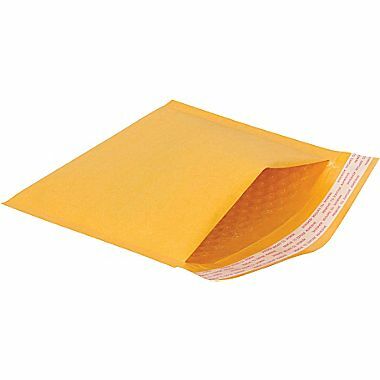 Recyclable fiber filled padded kraft mailer envelopes are moisture resistant and available with a pre-scored top to fold and seal or self-sealing adhesive strip. A large variety of packing list envelopes: Pres-Quick, poly packing list envelopes, adhesive backed, military specification, printed and unprinted, special colors, custom printed and short run. Durable, water resistant, self sealing, poly envelopes in vibrant, eye catching colors and a variety of sizes. 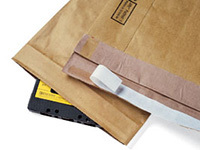 Adhesive backed, resealable zipper closure envelopes for securing documents to packaging. White and kraft, plastic bubble wrap lined, self sealing cushioned mailing envelopes.